We are ideally located just off the N7 flyover at exit 1A which means you won’t have to spend too much time in the car with the kids when travelling from all over Ireland – Cork, Kerry, Galway, Limerick or anywhere! The hotel is also a five minute drive from exit 9 off the M50. Fort Lucan is less than a 15 minute drive from the hotel and is a lovely place to visit, especially when the weather is nice! This adventure playground is fun for all ages and includes an under-five’s play area so the little ones can have just as much fun. At Fort Lucan, Kids create their own adventures as they discover secret slides, climb 40 foot towers and high walkways before zipping across the aerial runways. There is also 2 massive waterslides, crazy golf and go – karting for the kids. And for the under 5’s, there is a mini fort Lucan where the little ones can play, climb and dig. It is complete with aerial runways, baby Go- Karts, sand pit and much more. When travelling to Fort Lucan, why not make a full event of it and stay at the Maldron Hotel Newlands Cross. Located in Phoenix Park, Dublin Zoo is a fantastic day out for the whole family where everybody will have the chance to monkey around. The zoo is located across 28 acres and is home to over 400 animals. Visiting Dublin Zoo also helps fund their international breeding programmes. Maldron Hotel Newlands Cross is located only a 20 minute drive from the zoo so don’t waste any more time and book our Dublin Zoo package today. Don’t miss out on our Dublin Zoo & hotel family package! Tayto Park is Ireland’s only theme park and zoo and is home to the Cu Chulainn Rollercoaster which is Europe’s largest wooden rollercoaster. This year, Tayto Park have opened up a new exciting ride, the Viking Voyage, a water flume ride. Maldron Hotel Newlands Cross is only located about a half hours drive from the theme park making us the ideal place to base the whole brood. 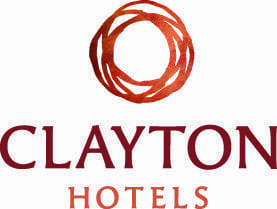 Don’t miss out on our Tayto Park & hotel family package! Book your Tayto Park package today and enjoy overnight accommodation with a family pass to the park. Corkagh Park is a massive 120 hectare public park that offers a range of different activities that is bound to keep the little ones occupied. Families can spend time fawning over the pet farm or running themselves ragged in the playgrounds or even get on their bikes to use the cycle tracks. If mam and dad are looking to spend some quiet time away from the energetic kids, there is also a beautiful rose garden where they can spend some quality time together. The park is located only a five minute drive from Maldron Hotel Newlands Cross and is the idea place to waste away a few hours when the sun is shining. Book your stay now to see all that Corkagh Park has to offer. The Irish Nationals stud is located just a thirty minute drive from the hotel and is a lovely place to spend a day. There are several attractions within the stud including; the stud farm, the Japanese Gardens, St Fiachra’s Garden, Living Legends and the Horse Museum.